The Austrian artist and architect, Friedensreich Hundertwasser, had a truly unique way of expressing himself. His work was filled with bold colours, organic shapes, and an obvious respect for nature. Some his architectural designs included rooftops covered with grass, deliberately uneven apartment floors, and always a preference for curvy lines over straight ones. He loved to experiment and often chose to make his own paints, while also exploring a variety of different supports for his work like wood and wrapping paper. He remains one of the most well-known contemporary Austrian artists, and his unique and unusual architectural designs and paintings continue to draw admiration today. 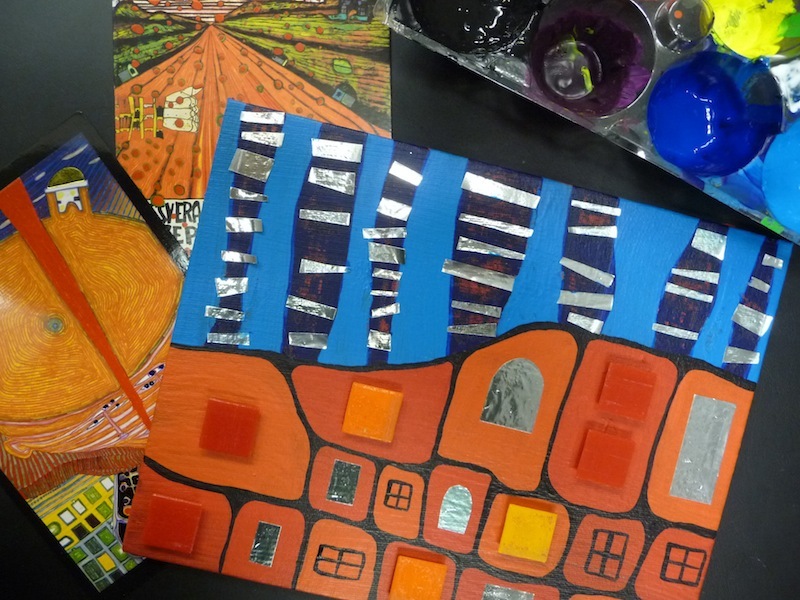 This mixed media project is about painting a building inspired by Hundertwasser’s style, filled with vibrantly coloured waves, curves, and irregular forms.